Set on the banks of the River Ghagra, which is a tributary of the River Ganges, Faizabad offers enough attractions to its visitors, which makes it one of the major Cities in Uttar Pradesh as far as travel and tourism is concerned. Due to the geographical location of Faizabad, tours to Faizabad is also given much consideration by tourists all over the world. The small town is merely 6 kilometers away from Ayodhya which is said to be the birthplace of Lord Rama. The legendary epic Ramayana is based precisely on this kingdom. In addition to this, Faizabad is also located in the erstwhile province of Awadh (or Oudh). Awadh was known for its strong cultural influences and lavish lifestyles of the Nawabs of Uttar Pradesh, who were able to retain their throne for a considerable period to time even during the Rule of the British in India. As a result, Faizabad over centuries has inherited ample number of evidences, which can be showcased in front of today's world. This has in turn necessitated the establishment of a number of Hotels in Faizabad. Most of the Hotels in Faizabad are located in the heart of the town. The bus stop of Faizabad is in proximity to the Faizabad Hotels. Hence, they can be easily reached from other parts of the state as well as the country. Lucknow, the capital of the State of Uttar Pradesh is 135 kilometers away from Faizabad. Hotels of Faizabad can be easily reached by availing the rickshaws, which serve as essential means of transport in this part of the world. Usually, the majority of Hotels in Faizabad can be reached in this way within a time span of 30 minutes. 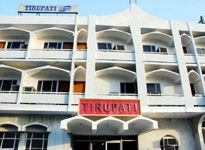 There are various types of Hotels in Faizabad. The facilities rendered by each of these Hotels of Faizabad are subject to their rents charged. Most of the Hotels in Faizabad are well supplied with water, power, and other essential needs. Food is also provided in most of these hotels in Faizabad, while it can also be had in any of the large number of restaurants which are scattered in every nook and corner of the city.